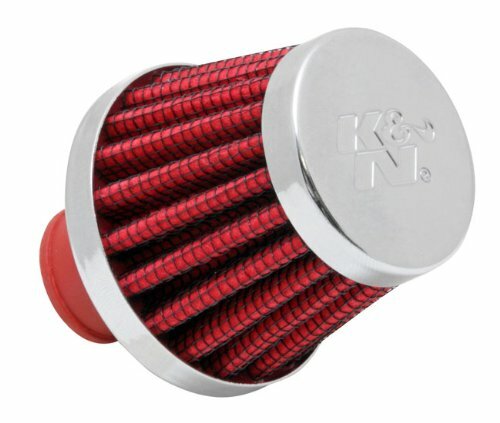 K&N Rubber Base Crankcase Vent Filters are designed to clamp directly to metal or plastic tubing. 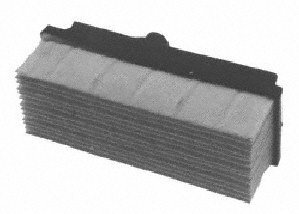 Ideal for engines, transmissions, oil or gas tanks on racing vehicles. 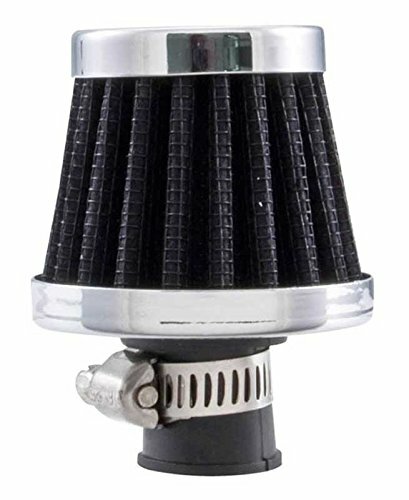 This Spectre breather filter, also known as a crankcase vent filter, has a flange with an inside diameter of 10mm. 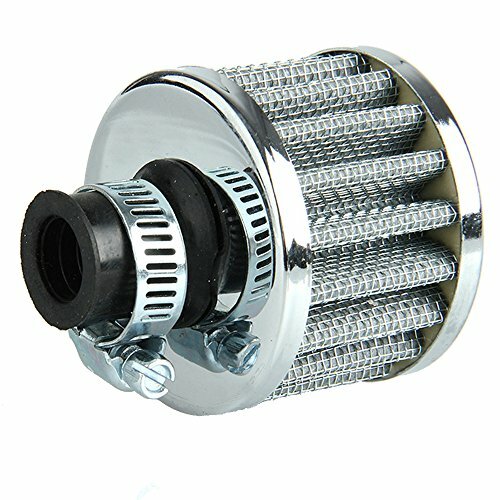 By using the included adjustable worm gear clamp, this air filter will fit tubes with outside diameters from 3/8 inch to 1/2 inch (8-12mm). Spectre breathers use pre-dyed synthetic media for lasting color, feature a triple chrome-plated steel top and base, and come factory pre-oiled and ready to use. 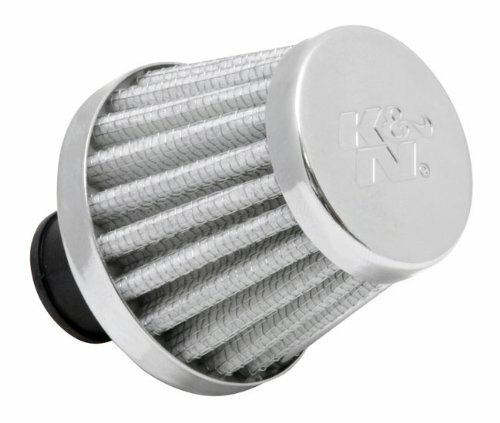 K&N Steel Base Crankcase Vent Filters have a one piece design with a rubber or chrome top and a vent tube added to the base. 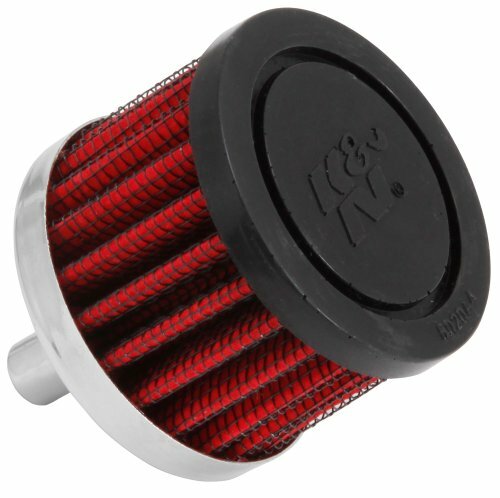 Filters can be pressed into rubber grommets in valve covers for direct mounting. All base plates are chrome plated. Tubes are made of zinc. Motorcraft Breather Elements are designed, engineered and tested to meet durability and reliability under extreme conditions. 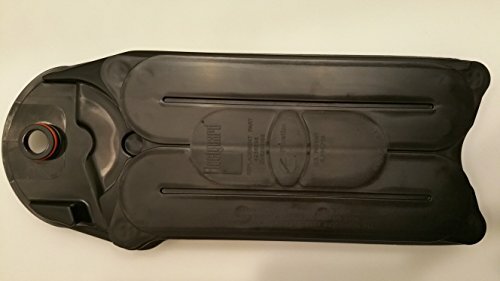 They are built to maximize the performance are made from high-quality materials. 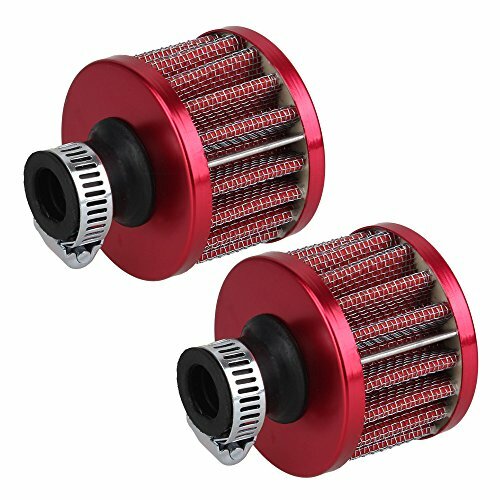 They offer high resistance ensuring lasting durability.